I thought $7 for Cookie Butter Cheesecake was pretty steep, even though, admittedly, it was worth every penny. Well, this stuff was $9 at the Marlton TJ's. You'd think for that price, they'd at least give it some highfalutin name like "Extra-ordinary Random Chocolate Covered Nonsense of the Finest Collection," like that weirdness that Russ checked out recently, or something pretentious like that. Nope. 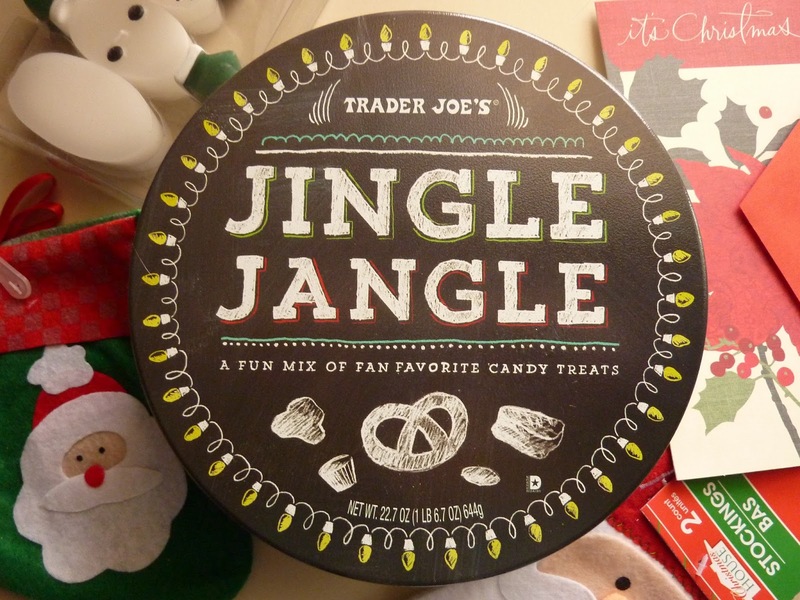 Just Jingle Jangle. 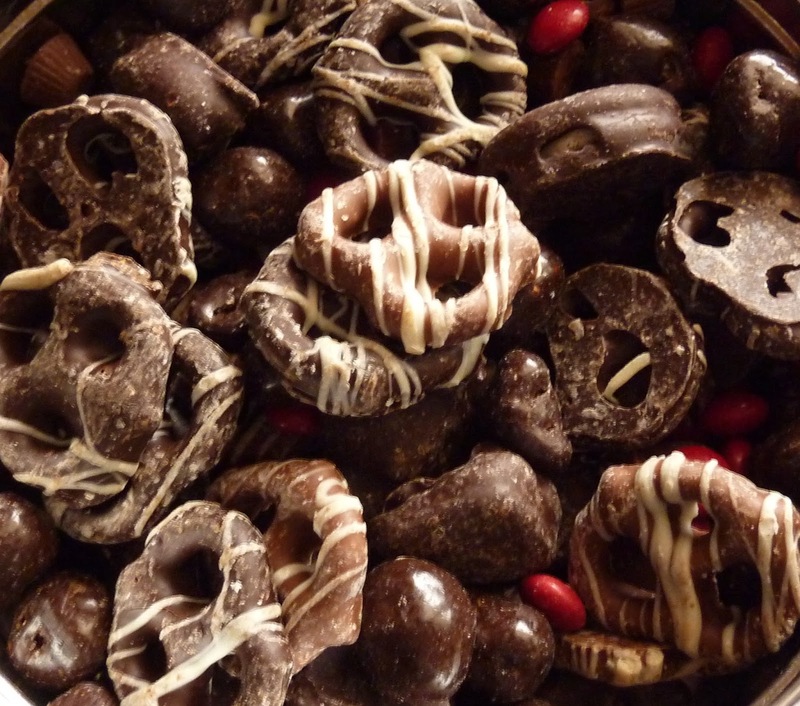 There were milk and dark chocolate covered pretzels, mini peanut butter cups, Joe-Joe's, M&M-like things, and dark chocolate covered caramel corn—the latter of which was about the only novel element in the mix. Everything else felt like something I'd had before. To my great disappointment, there were no white chocolate covered items, although some of the pretzels had a wee bit of white chocolate drizzle on top. It was practically untasteable, though—more for decoration than anything else. The tin was filled to the brim with the aforementioned goodies and was actually quite heavy. If you're battling rain or snow as you carry it out of the store in one of TJ's famous paper bags, be wary that the bottom doesn't drop out on you. It's a good bit of food and a great lot of calories, but in my opinion, the five species of candy in the tin still aren't enough variety to justify the price. They get old pretty quickly. It's definitely a product you'd want to consider for large office parties, big family gatherings, and grand soirees. It's not to be shared by one lonely couple and two pets who can't have chocolate. Thank goodness we'll have some company later in the month to help us finish it. As someone who's not a huge fan of dark chocolate, I'm just not sure this is the best way to spend $9 at Christmas time. The quality of the ingredients is fine. I wouldn't call that into question. But hey, you dark chocolate fans, wouldn't you rather enjoy the flinty undertones of your sophisticated candy alone in a bar form, rather than coated all over a generic Oreo? There was some milk chocolate, but not nearly enough to suit me. If it weren't for the joyous holiday spirit soothing my cynical soul right this moment, I might have snubbed this product even worse, but I'll be Christmassy and throw out three stars. Sonia likes dark chocolate, so she'll muster enough enthusiasm for three and a half. i don't think i paid that much last year, but i could be wrong. I bought it last Christmas (but didn't get around to opening it until about a month ago (kept in Freezer). Like i said, it was great, but i thought i paid about 7 or so maybe. 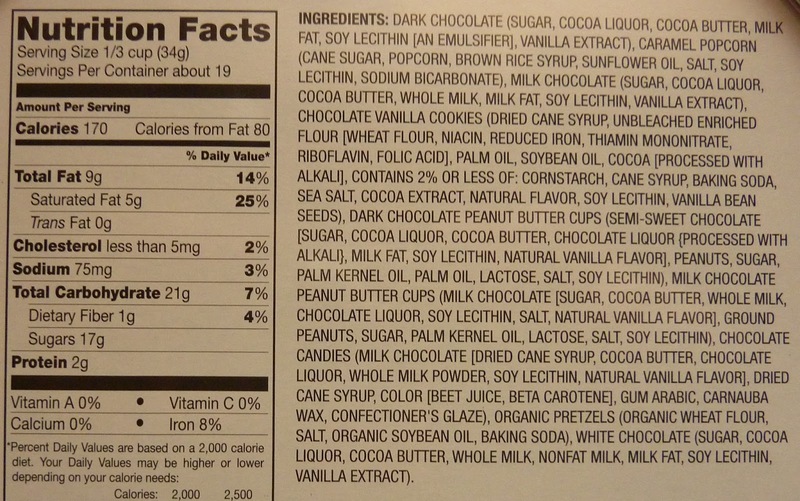 If you like dark chocolate, you'll probably like this. It was definitely $8.99 this year in Marlton, NJ. Inflation, I guess.